Long serving employees are becoming an endangered species in a modern world characterized by: lay-offs, mergers and acquisitions, instant dissolution of global businesses and an increasing dependence on global workers. Gone are the days when recruiters and employers could expect to have a pile of resumes containing job for lifers with uninterrupted tenures, (especially as research suggests that the average employee is changing jobs perhaps every 3 to 4 years). In the good old days, employers could simply discard candidates with multiple short tenures on the basis that they were job hoppers, but these days, a large proportion of the candidate pool is comprised of job hoppers – and employers need to be better at analyzing job hoppers in a modern context. One of the first things that employers need to do is let go of the prejudice surrounding job hoppers as there are many positive aspects to this type of employee; I have outlined three of the most positive ones below. Job hoppers can gain more experience and skills from each new environment they work in, so more roles, environments and sectors means more experience. As well as this, job hoppers may have honed their relationship building skills, being able to quickly integrate into teams and build rapport. And using their skills in different jobs and environments will have helped to keep their skills sharp. Job hopping can also be a sign of ambition. In the old days and especially in larger companies, career progression could be done from your arm chair or office chair. Climbing the corporate ladder meant going upstairs to the next floor. But, in today’s environment not only are employees more ambitious, (largely due to a harsher economic climate), many employers and jobs do not have advancement opportunities and if an employee wants to progress he or she needs to change companies. So job hopping shows initiative and a willingness to progress. Job hopping can also show that a candidate is courageous and not afraid to take a risk. Many employees stay in roles they are not happy with because it’s the path of least resistance and they are not comfortable with the risks associated with moving. Job hoppers are often bold enough to take the risk of making the move. It means they may be more flexible and may be prepared to take on new roles in your company. There is an obvious criticism of job hoppers in that they may be unsettled and aimless, but, many people go through a phase in their career when they are simply searching for the right role and this is commonly seen at the start of one’s career; so, don’t frown too hard on graduates who change roles very frequently in the first five years as they may just be looking for the right fit – and who knows your company could be it. This can also happen to candidates who are in career transition. Just make sure you interview them closely to ensure your role is right for them. Also, don’t over look the fact that job hopping could be simply as a result of the difficult climate – and the job hopping may have largely been out of their control, e.g. relocation, redundancy, mergers and acquisitions, reduction in permanent contracts, etc. In these circumstances, job hopping does not necessarily suggest a lack of commitment or focus, which means they can still be an asset to your business. 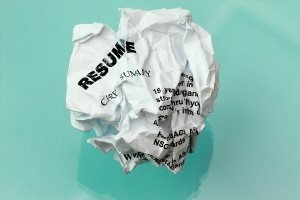 So, it’s no longer suitable for employers to immediately consign job hoppers to the resume bin, as job hoppers characterize our industry and employers need to be able to understand and assess job hoppers in the context of their individual circumstances and then appoint the one most suited to the role.